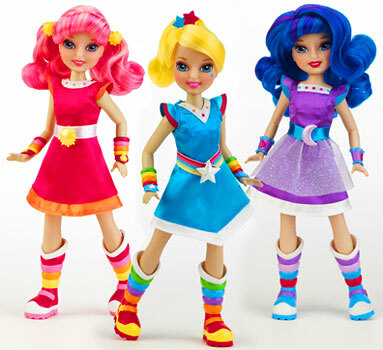 "Meet the Shimmerons! 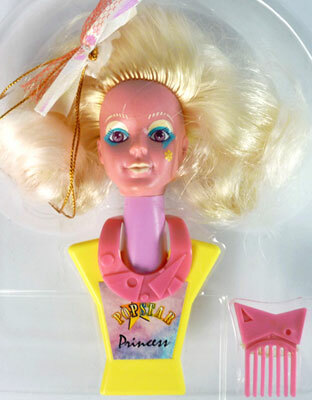 They're five gleaming, beaming teenage friends from the Planet Shimmeron! What on Earth are they doing here? 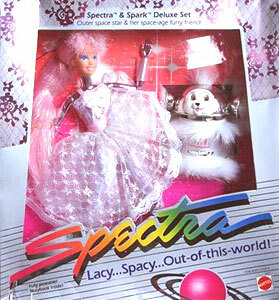 Well, Spectra wanted to discover why the Planet Earth is number one for teenage fun, and show you how fun is done on the Planet Shimmeron! 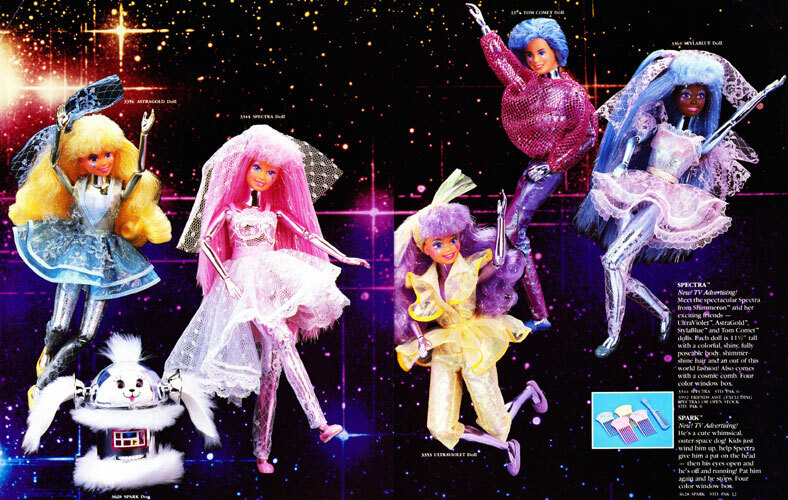 So she gathered her lacy space friends together and brought them to Earth! 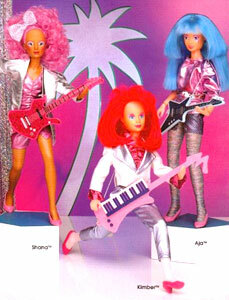 Here on Earth, the Shimmerons are discovering skateboards, hot dogs, rock music and shopping malls! 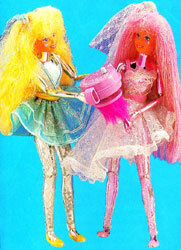 Wherever the Shimmerons go, they're a glittering sensation! Their hair and skin shimmer and shine so bright, people stop to put on their sunglasses! 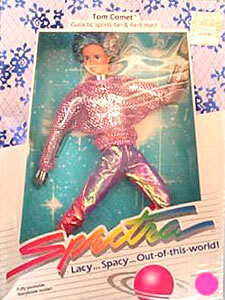 And famous fashion designers everywhere are trying to copy their Space Lace fashions. 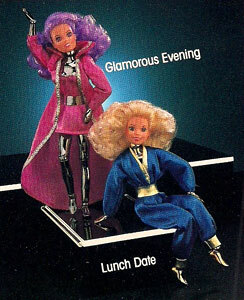 Introduce the Shimmerons to the latest trends on Earth. 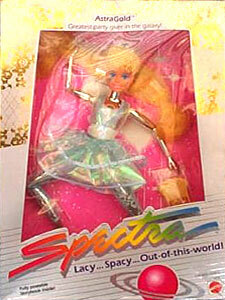 They'll surprise you with their own Shimmeron space magic that's out-of-this-world!" 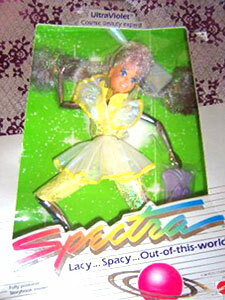 Spectra and her friends, of which there were five, were called Shimmerons after the planet they came from (Shimmeron). 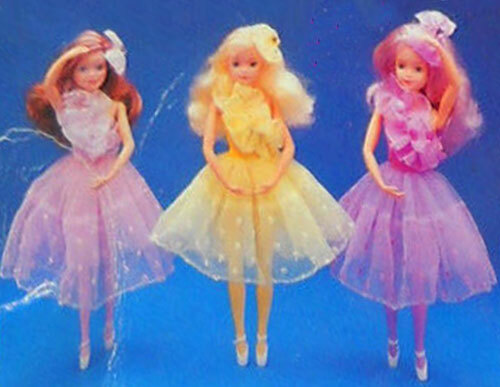 Each one came fully dressed and also included a comb. 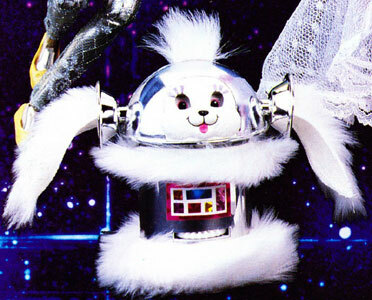 "He's a cute whimsical, outer-space dog! 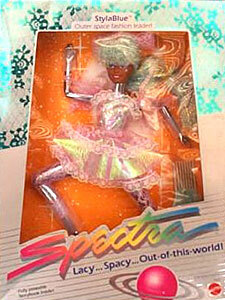 Kids just wind him up, help Spectra give him a pat on the head - then his eyes open and he's off and running! Pat him again and her stops." 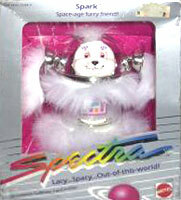 Spectra was also available as a deluxe set with a pet dog called Spark. 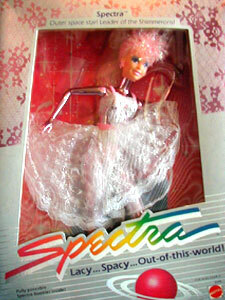 Spark, like Spectra, was also sold separately.